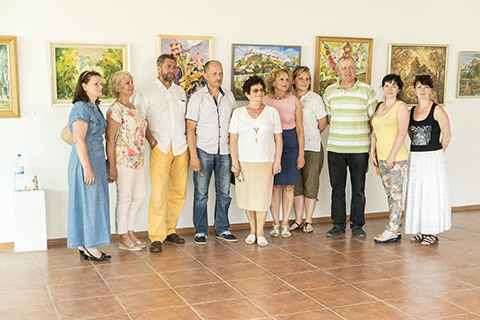 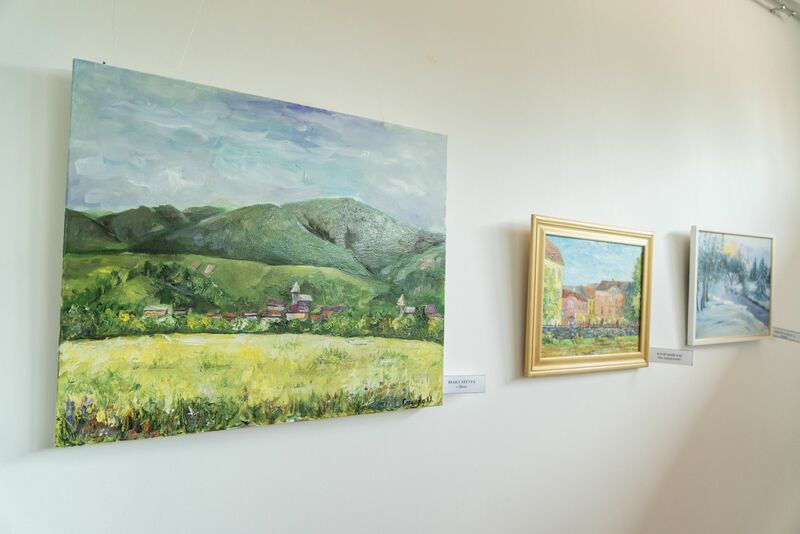 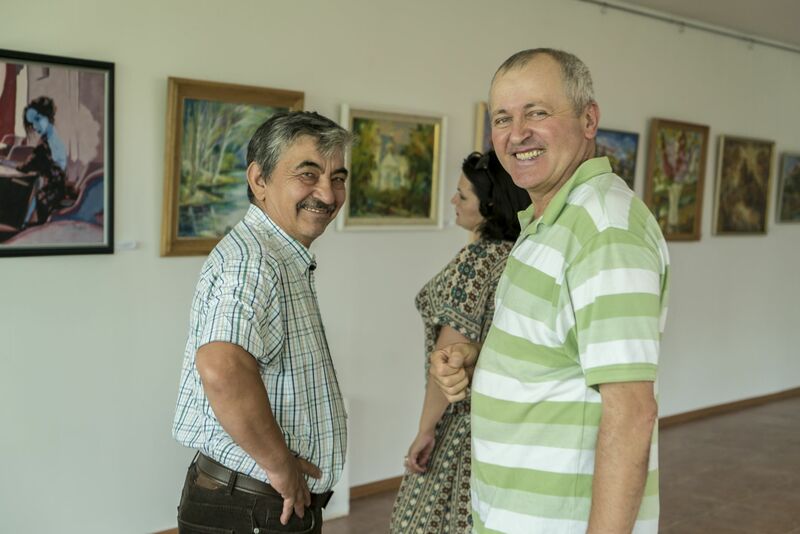 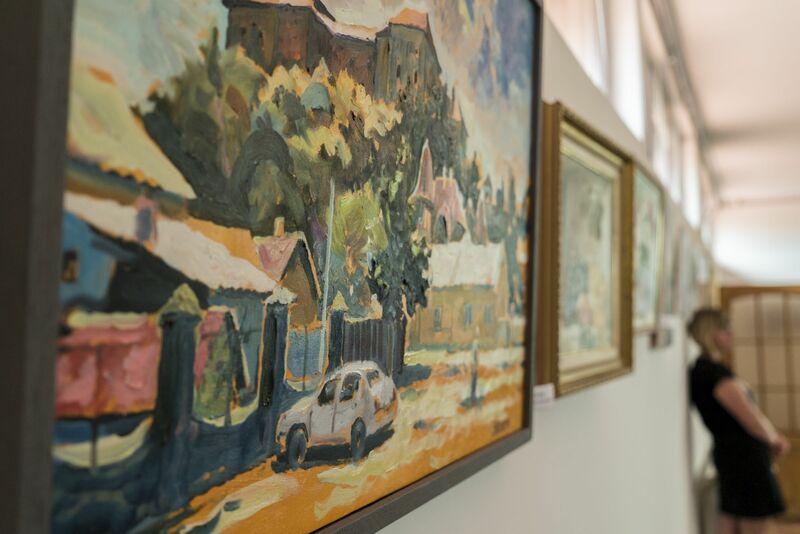 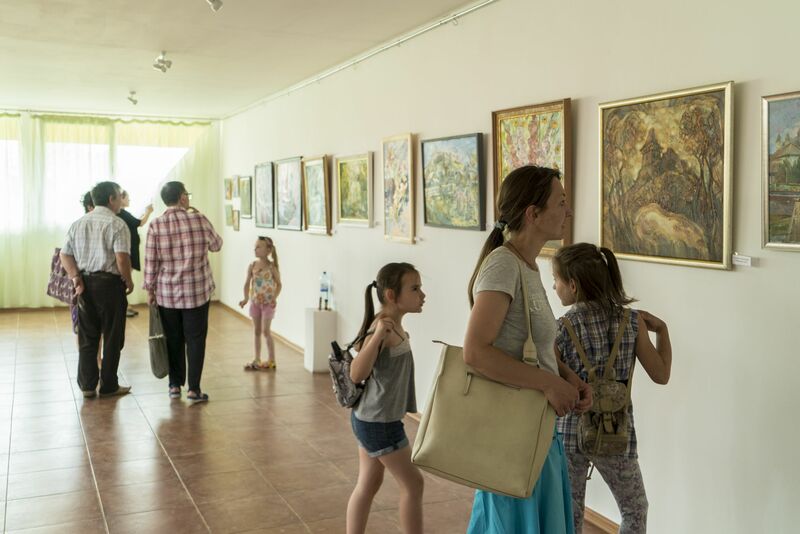 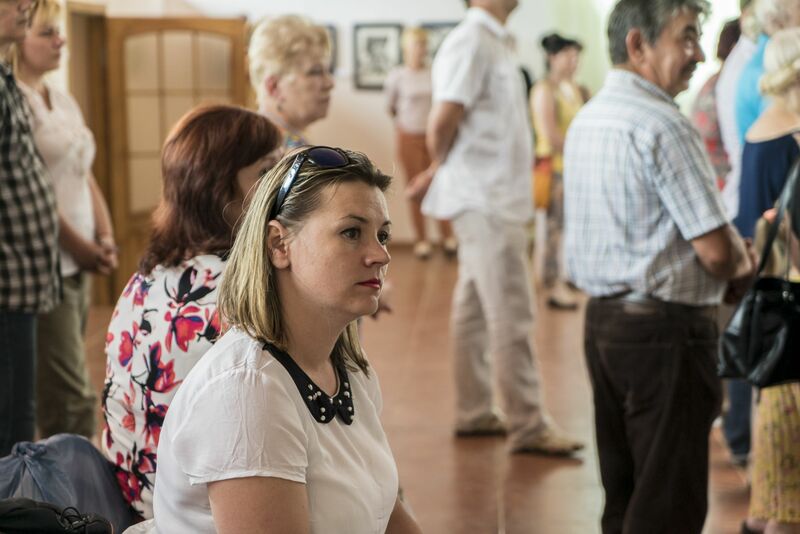 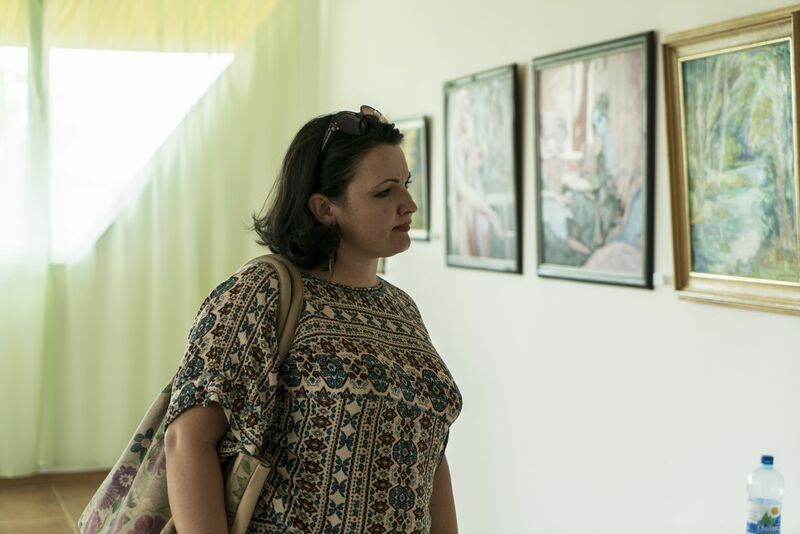 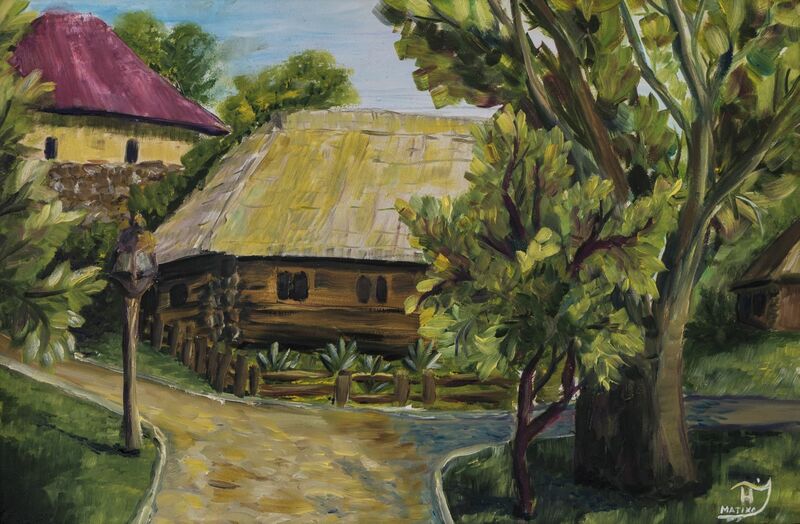 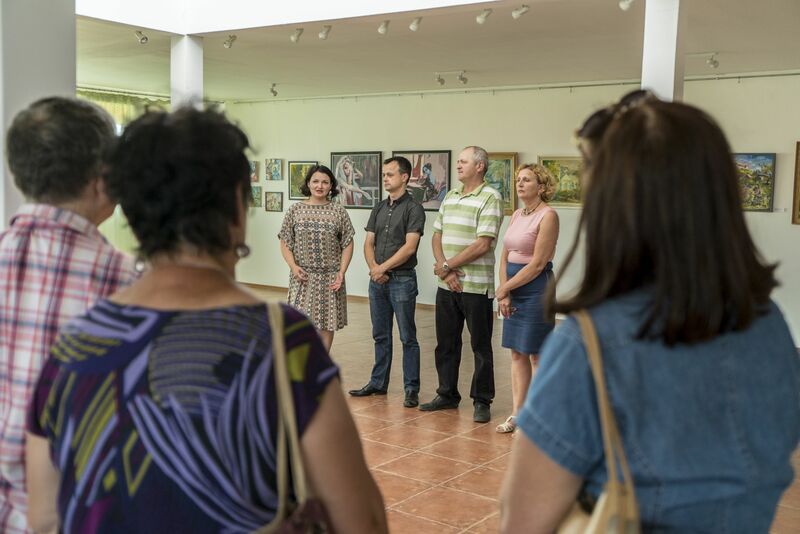 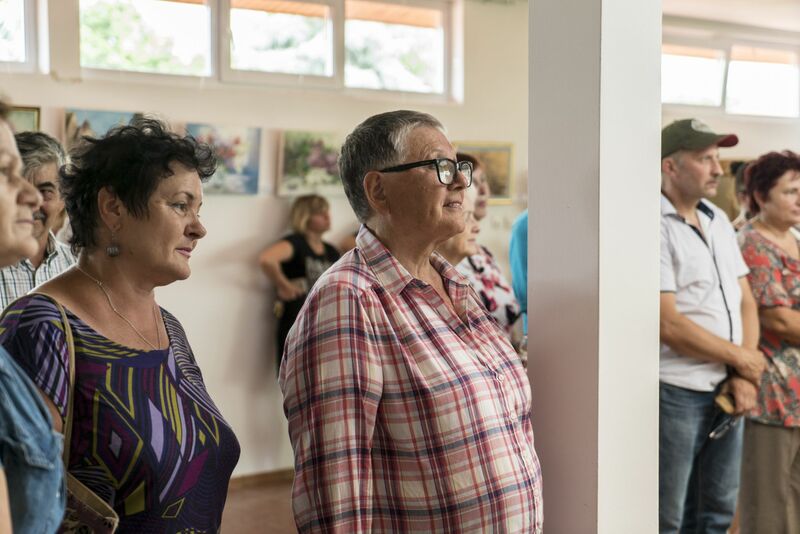 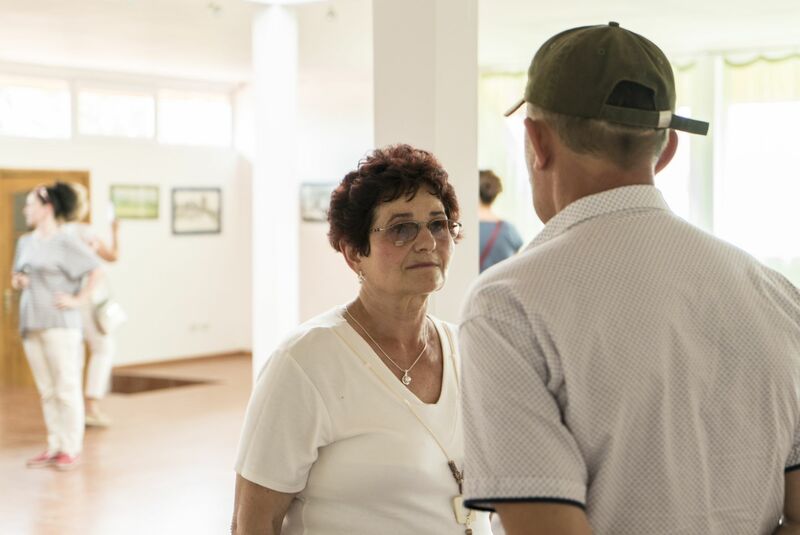 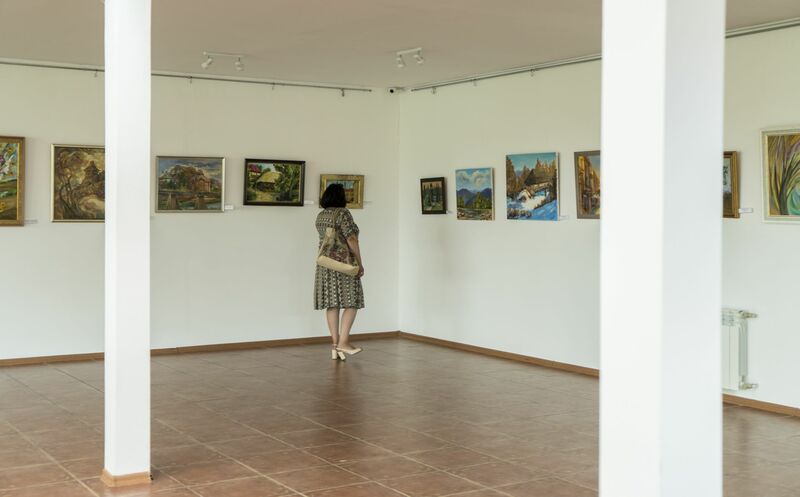 On June 30, 2017 in the Transcarpathian Regional Museum of Folk Architecture and Life in Uzhhorod it was opened an exhibition of paintings by amateur and professional artists of the region. 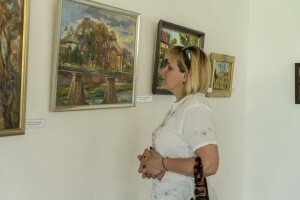 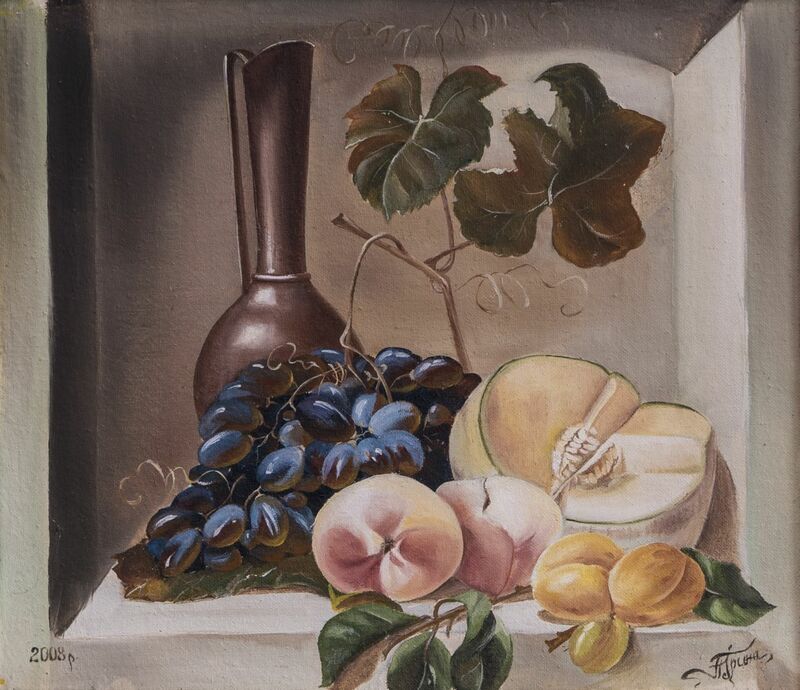 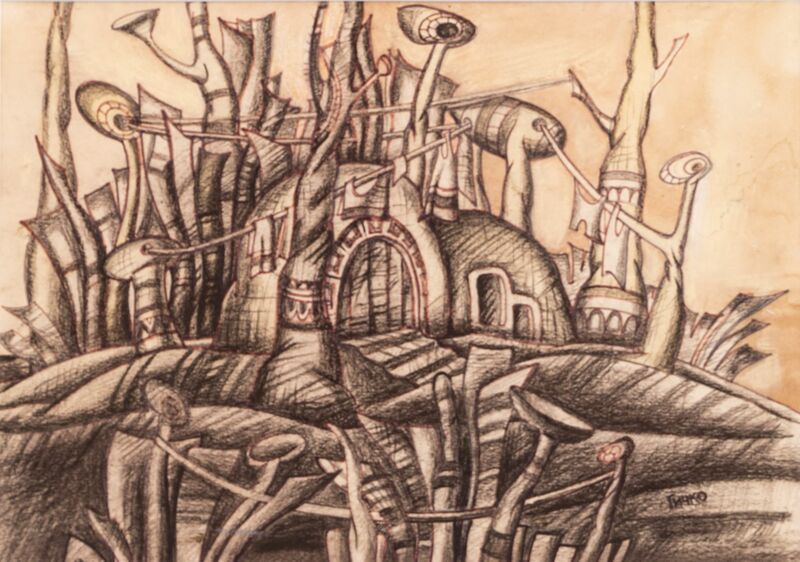 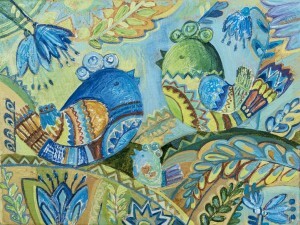 The exhibition of works is dedicated to the Constitution Day of Ukraine. It will last two weeks. 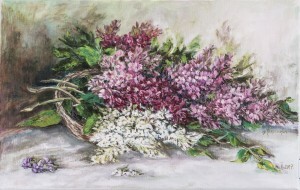 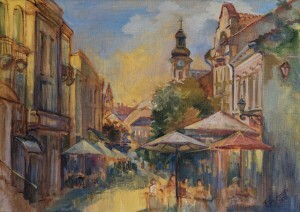 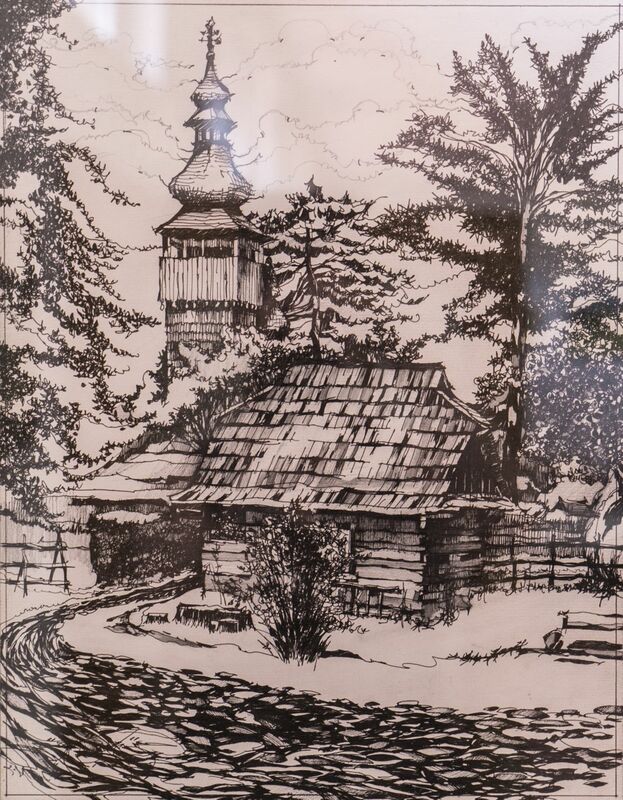 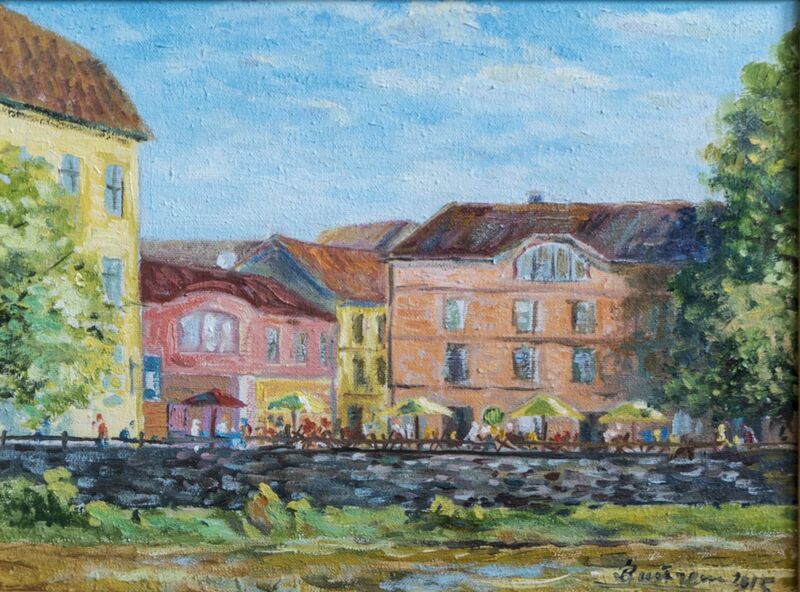 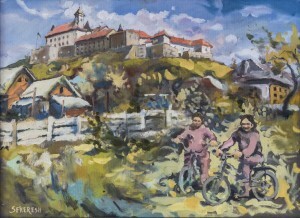 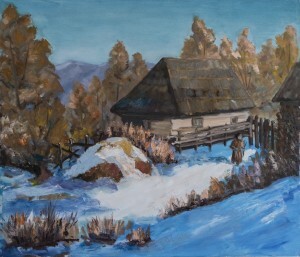 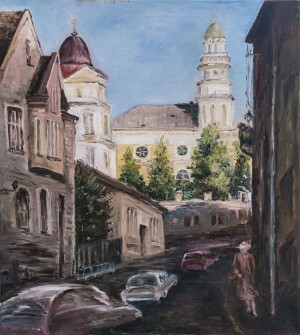 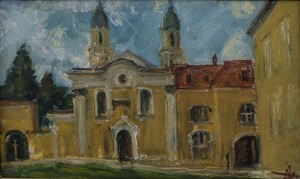 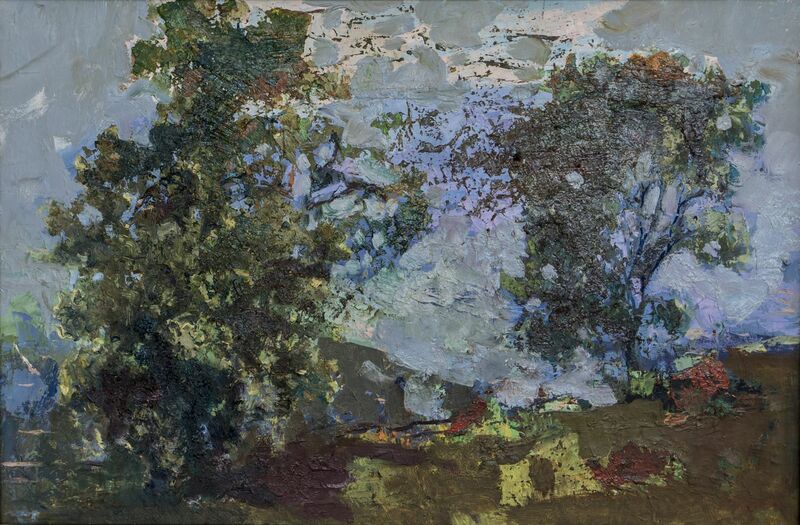 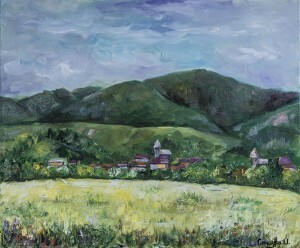 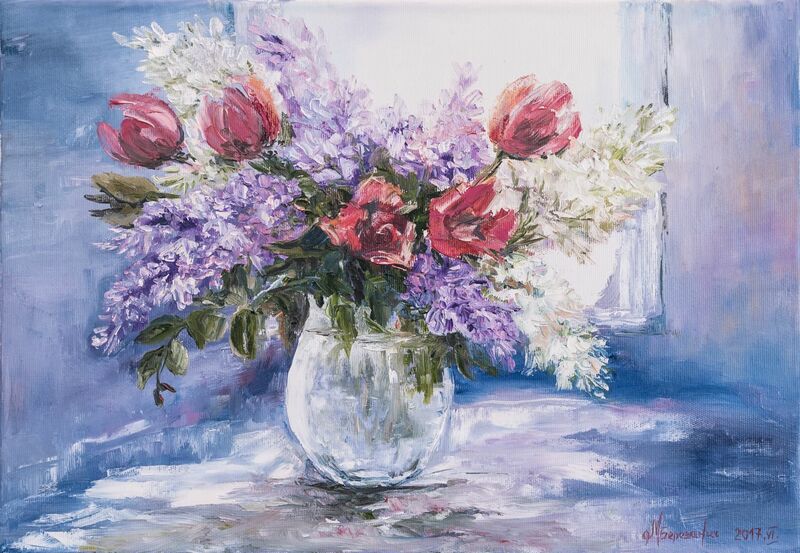 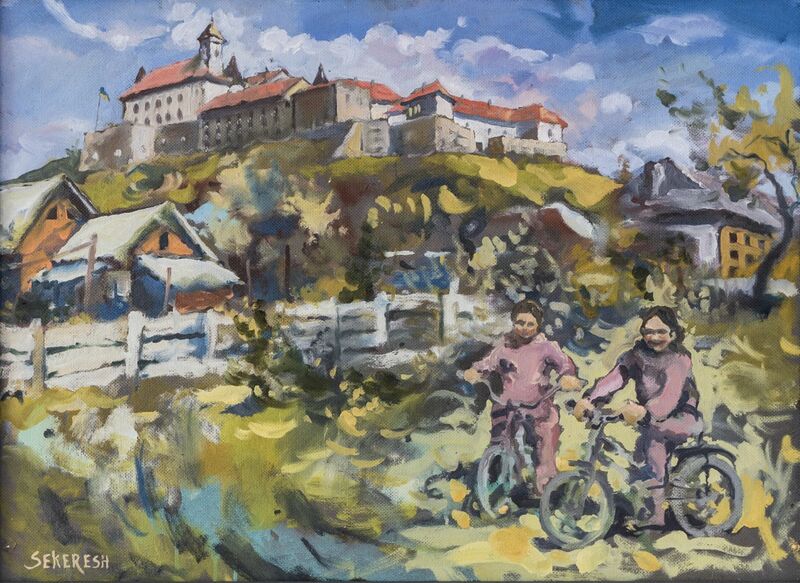 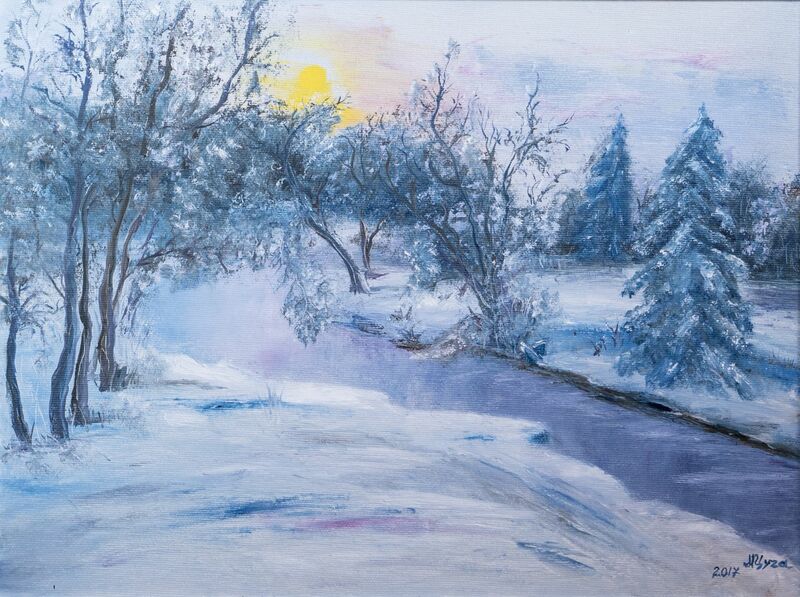 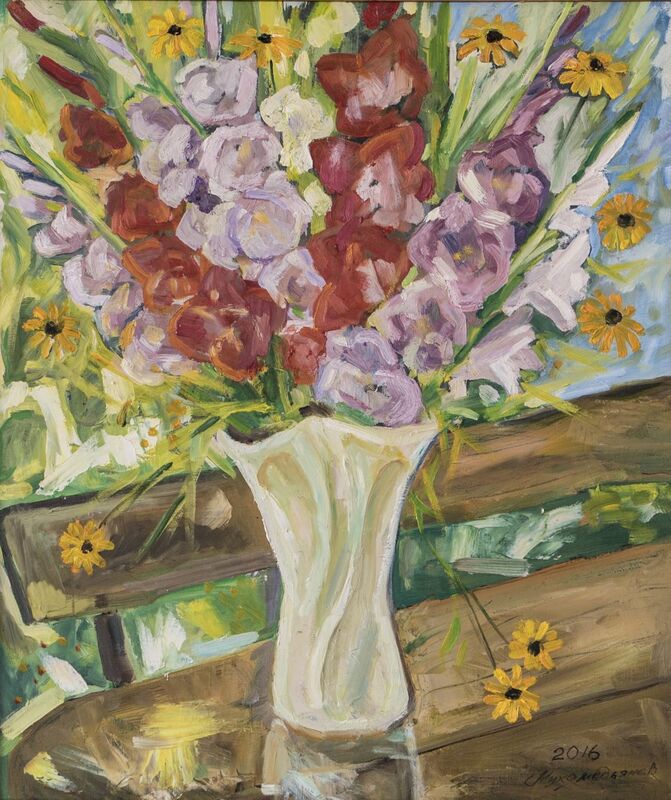 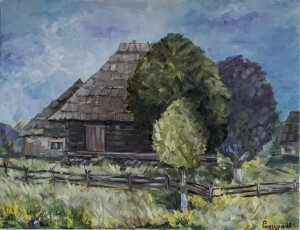 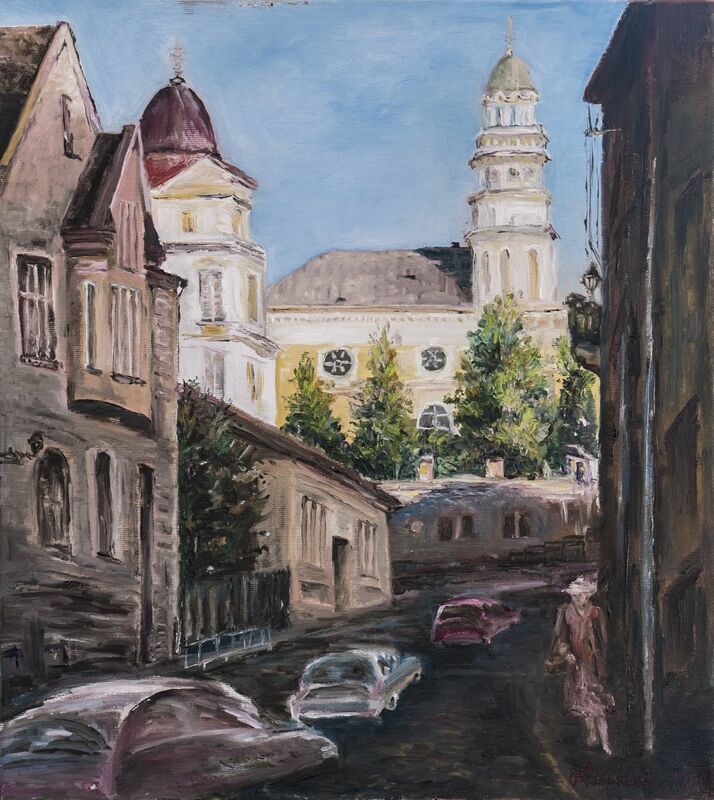 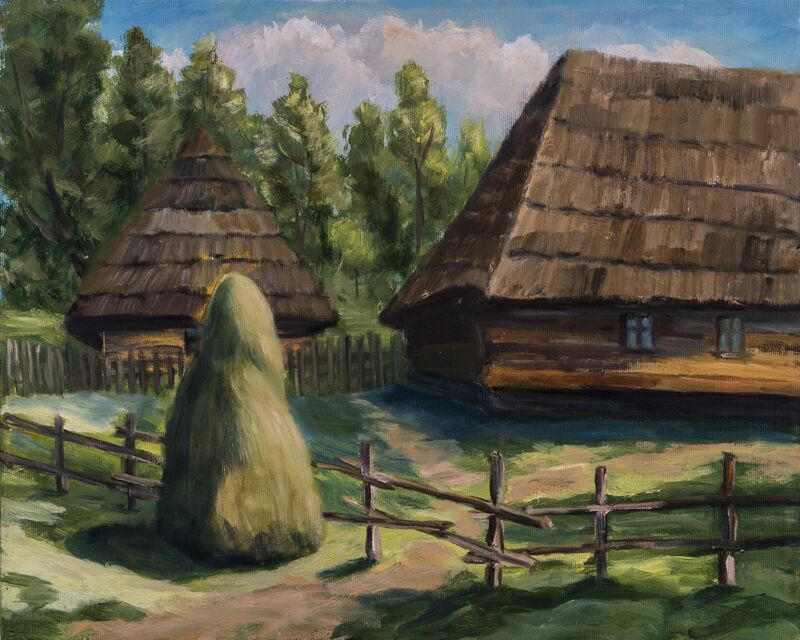 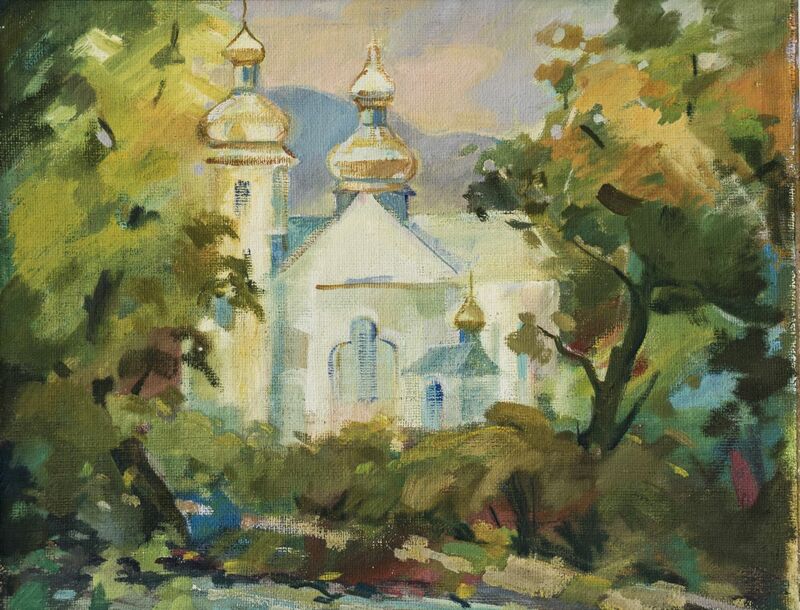 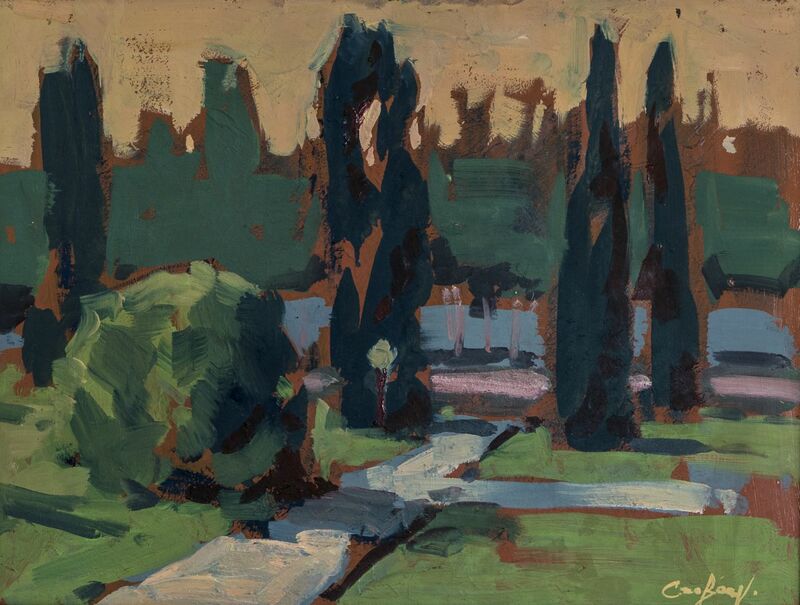 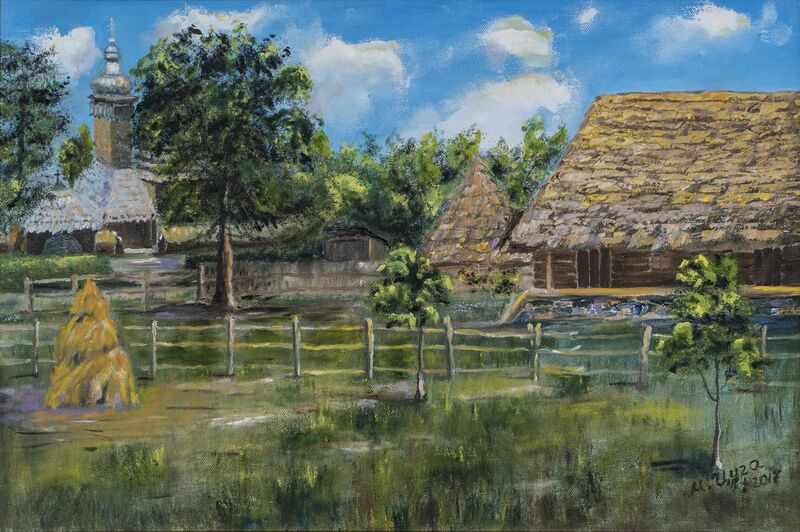 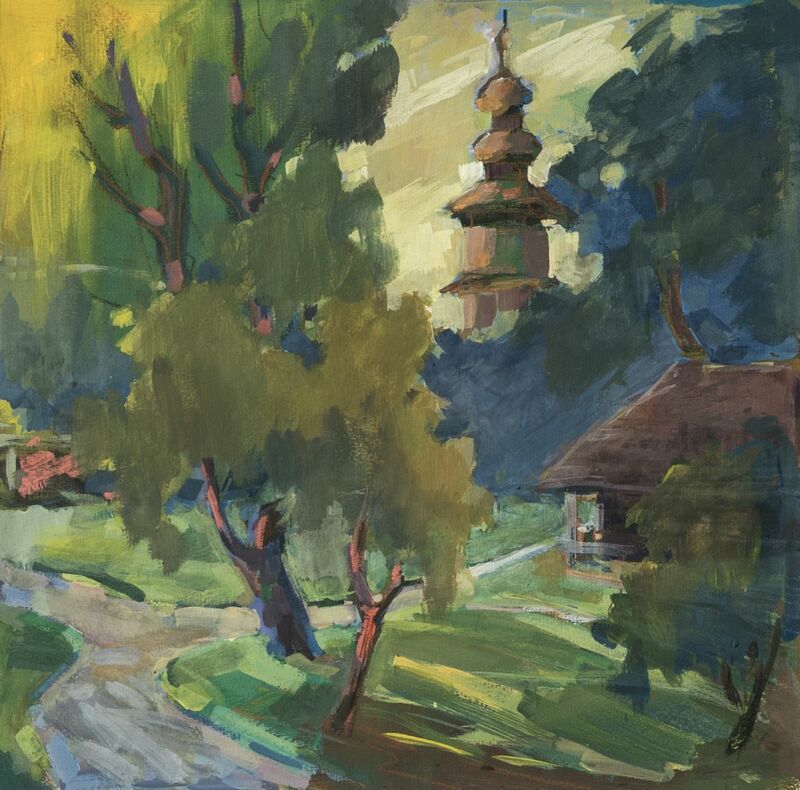 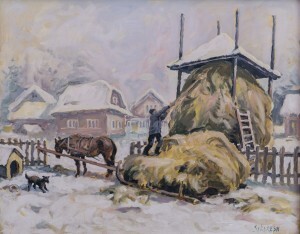 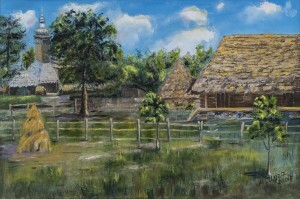 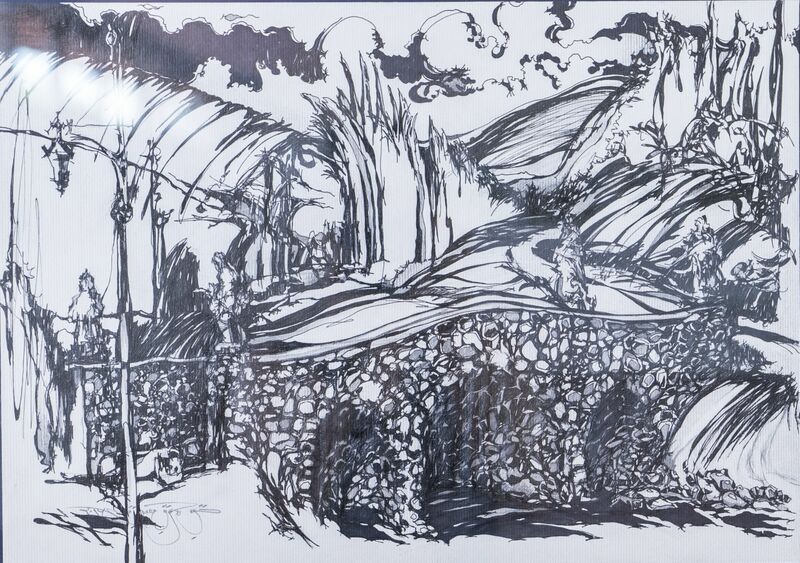 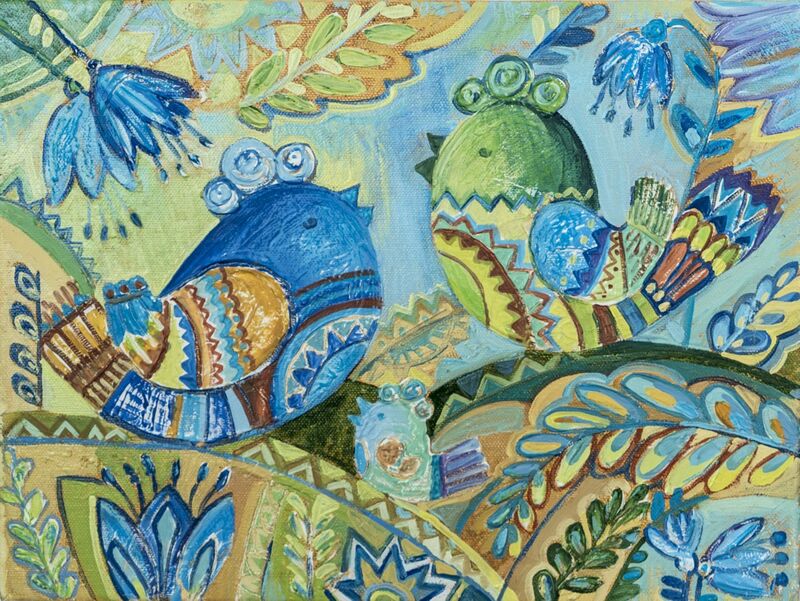 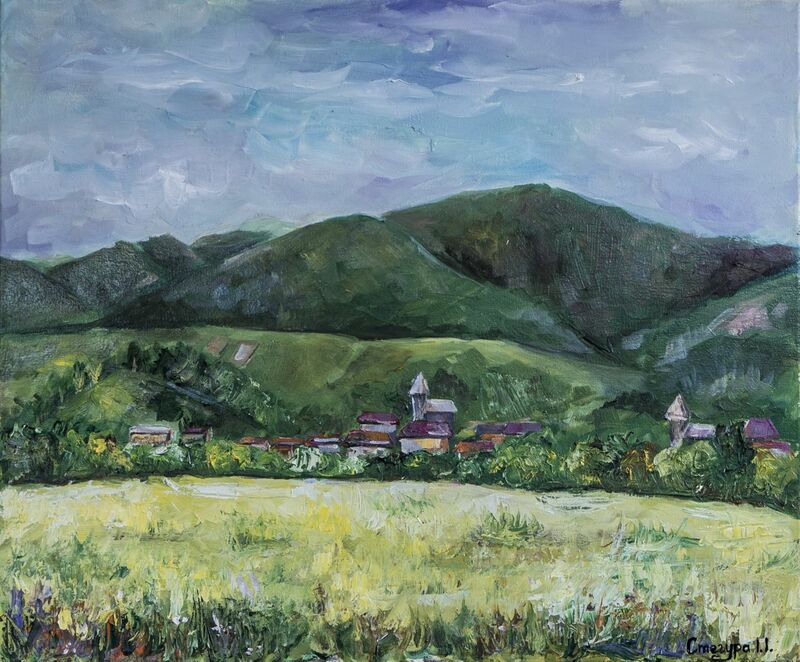 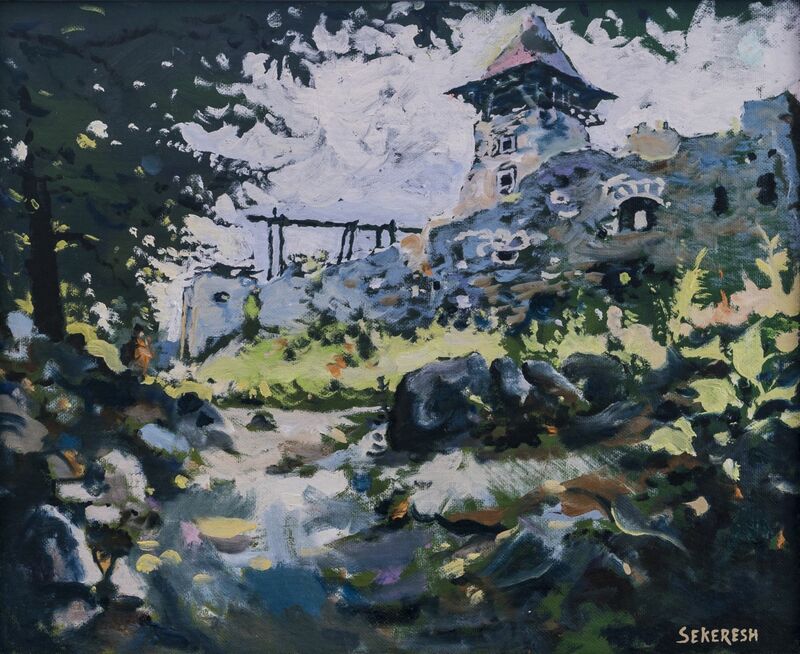 Usually, during such plein airs, nobody restricts the themes of the authors, although in principal the general direction is defined-this is the native land, Ukraine, Transcarpathia through the centuries. 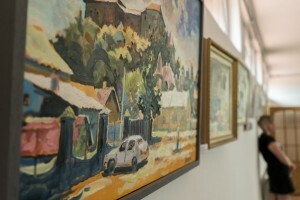 Actually this explains the diversity of the presented works-landscapes, still lifes, cityscapes and a whole series of graphics. 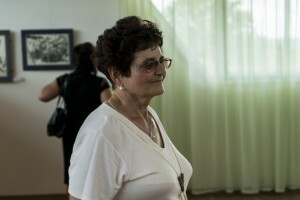 Some authors during the exhibition were presented for the first time, for example, Marta Tsuha and Yurii Vyihesh. 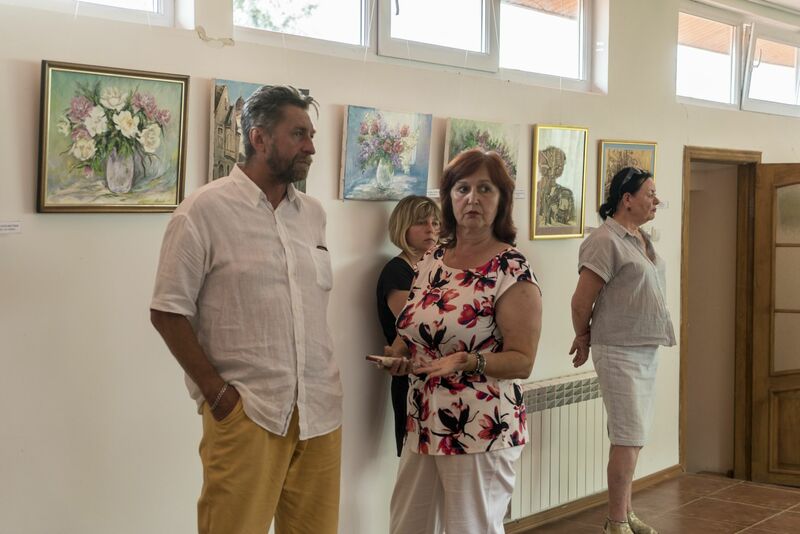 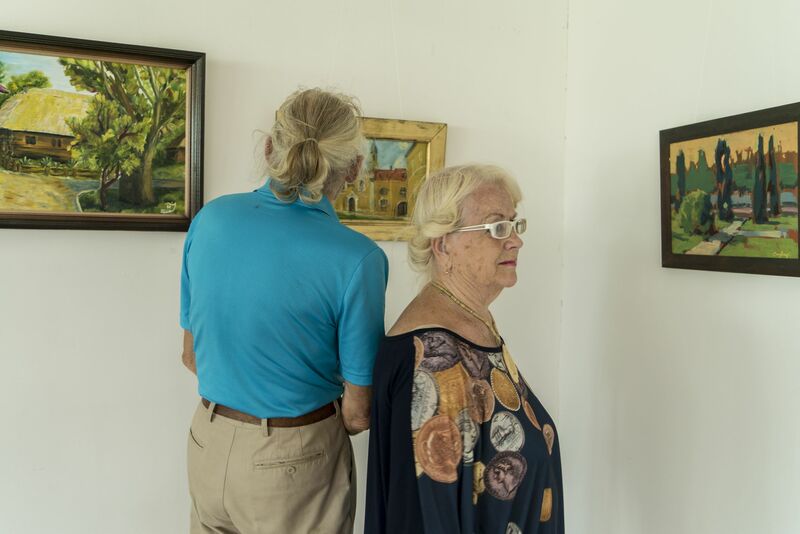 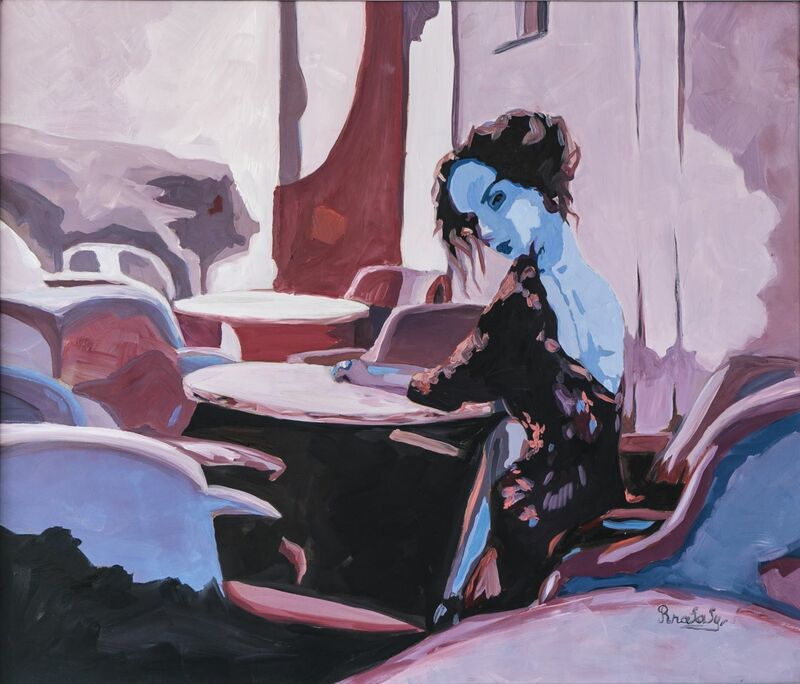 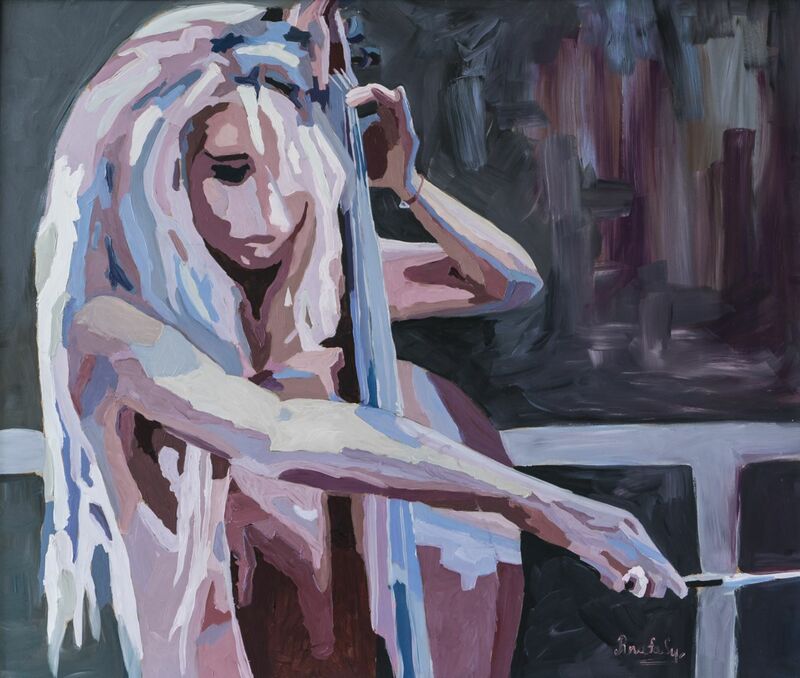 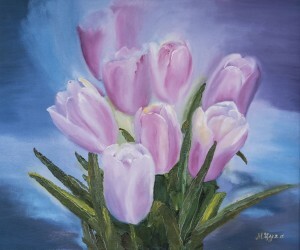 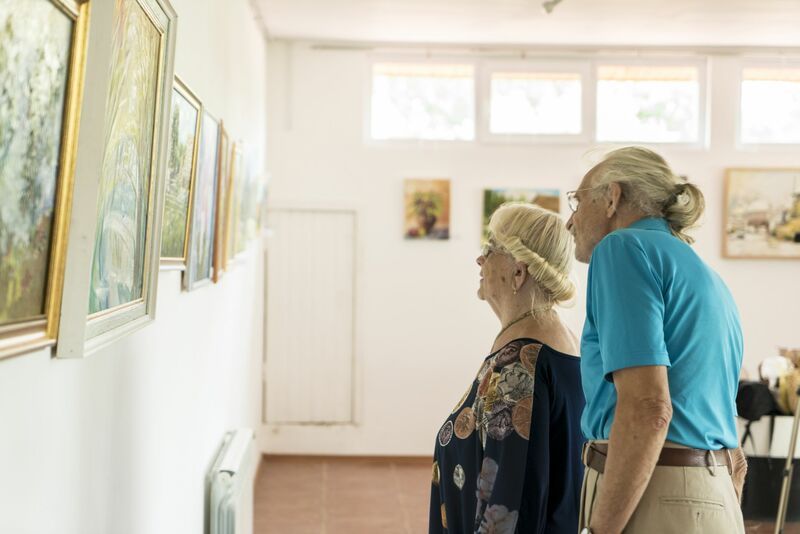 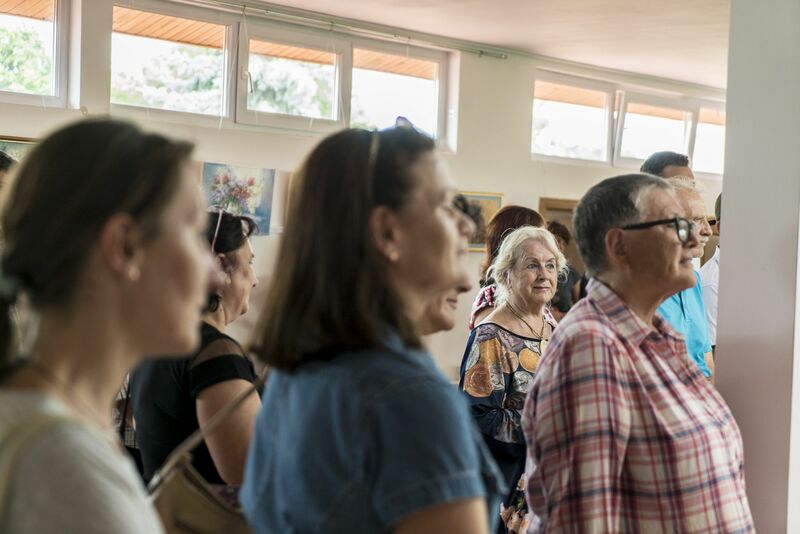 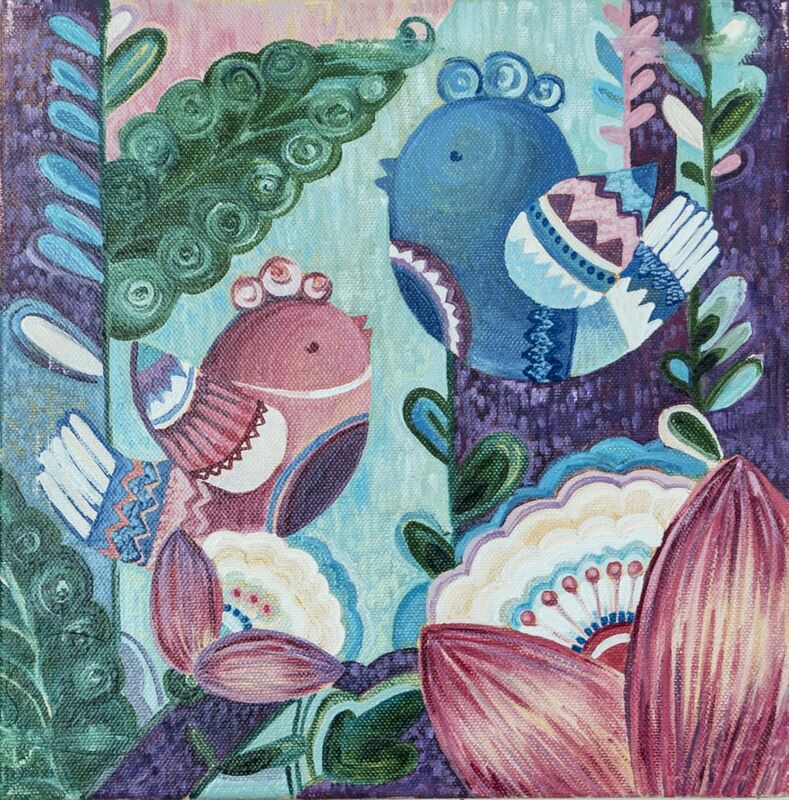 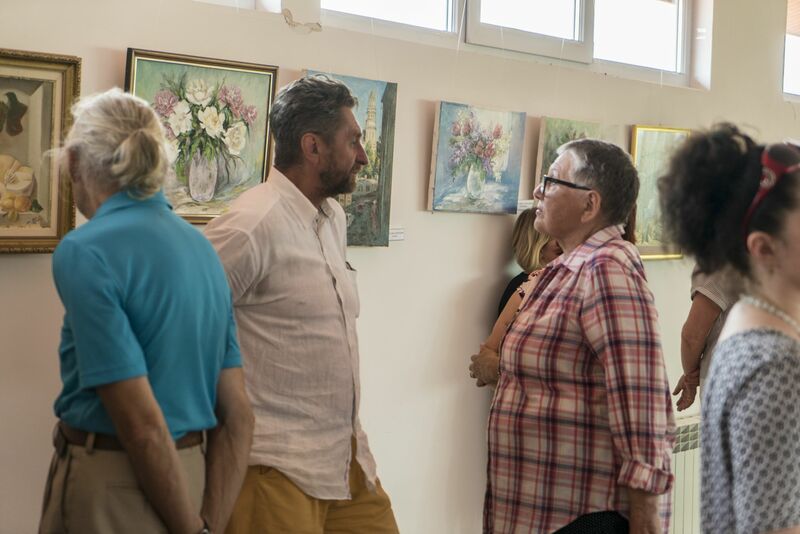 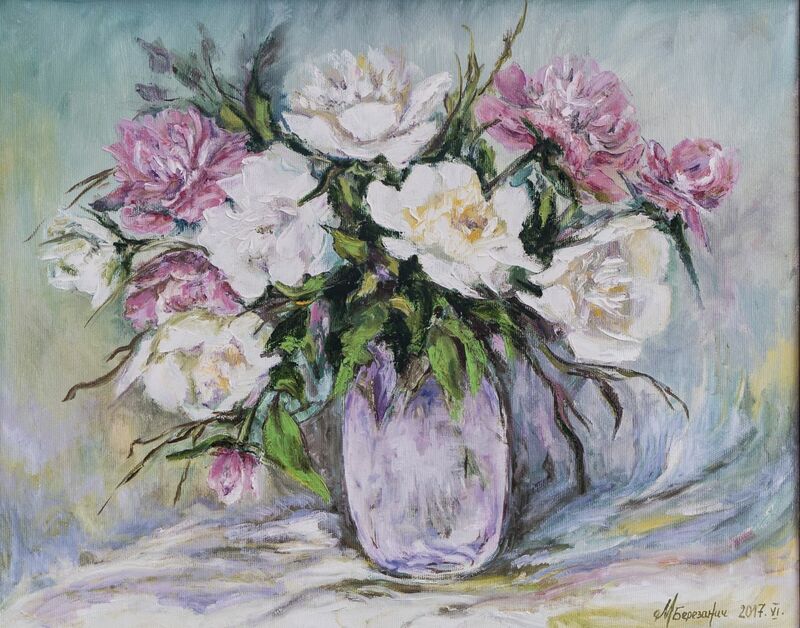 “The purpose of these plein airs and exhibitions is to promote creativity and amateur artists, because, believe me, they are not always able to organize personal exhibitions not that at the regional level, but even on the local. Therefore, we want to support them, especially those who work, develop, - the director of the centre Hanna Drohalchuk said during the opening. 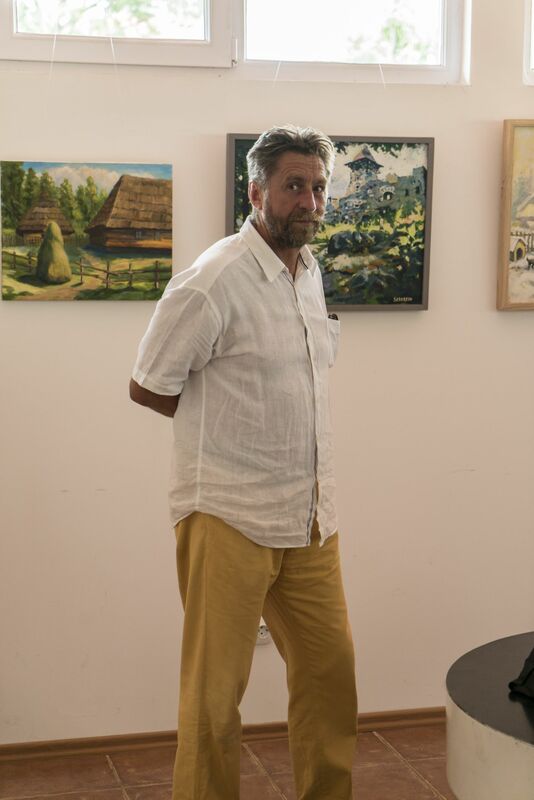 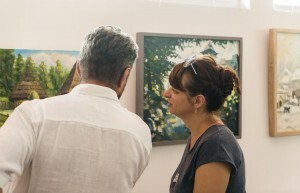 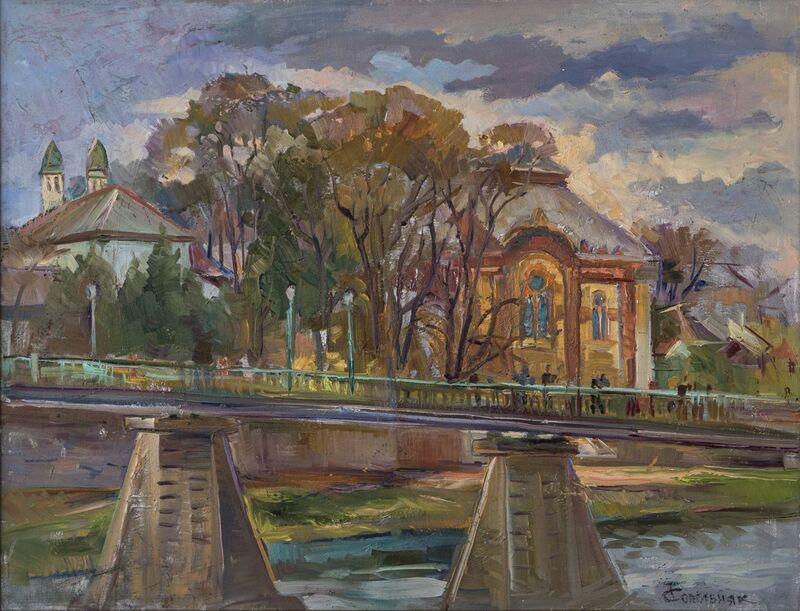 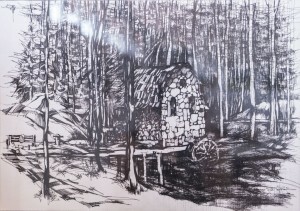 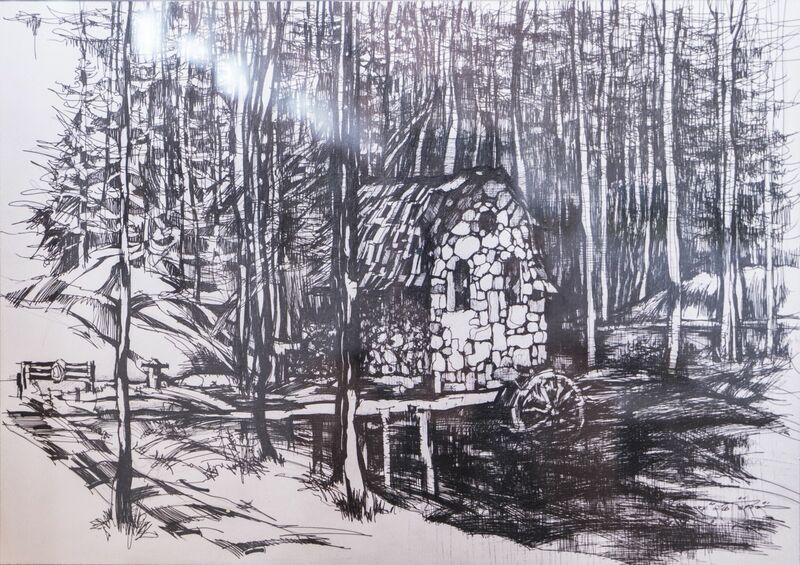 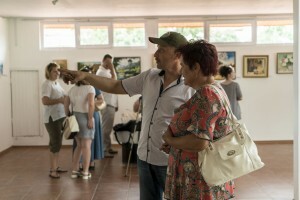 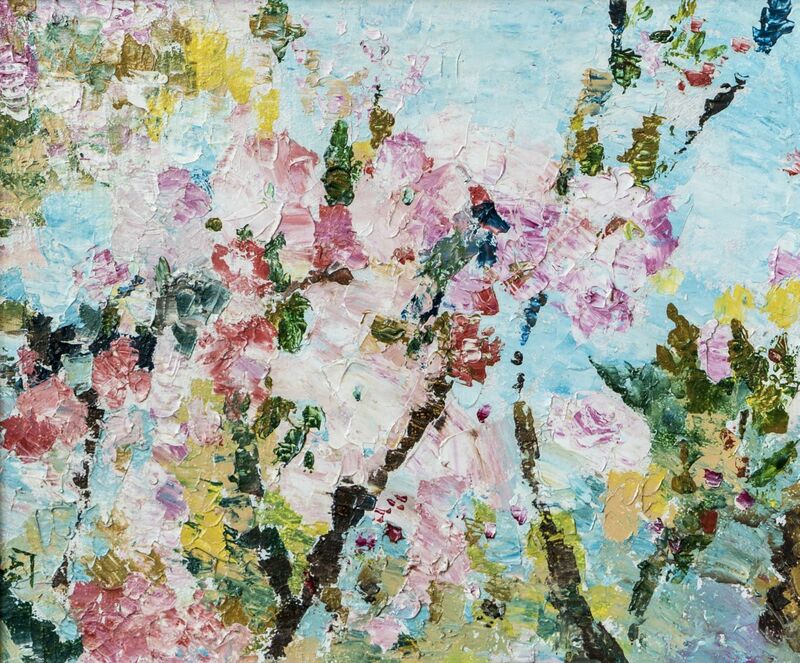 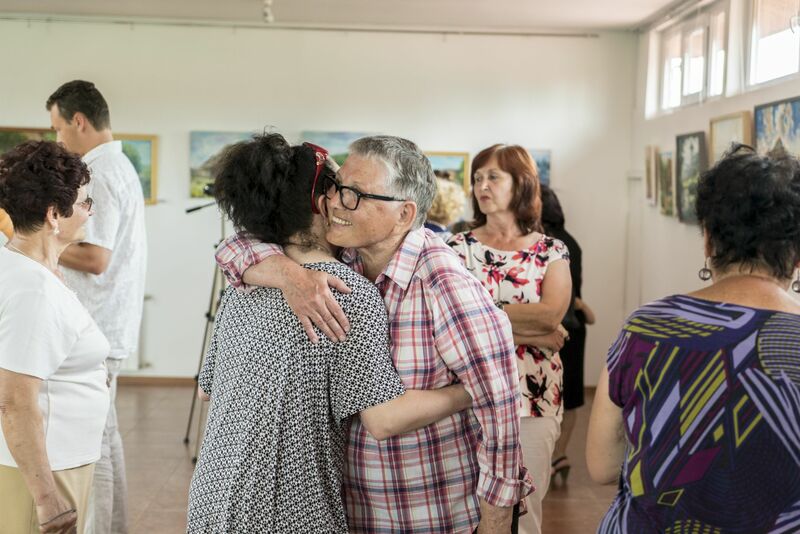 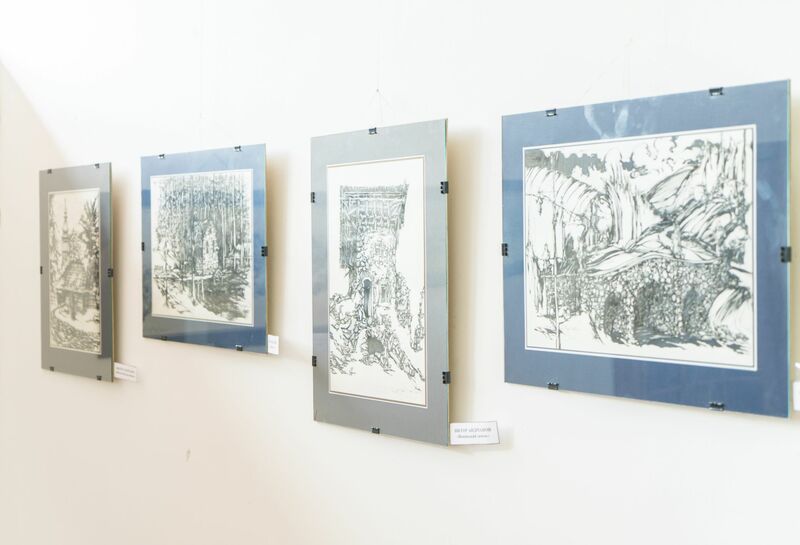 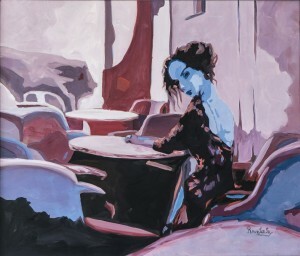 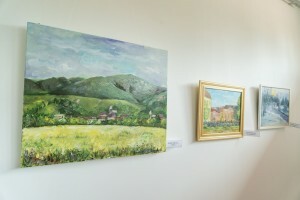 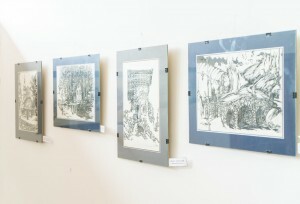 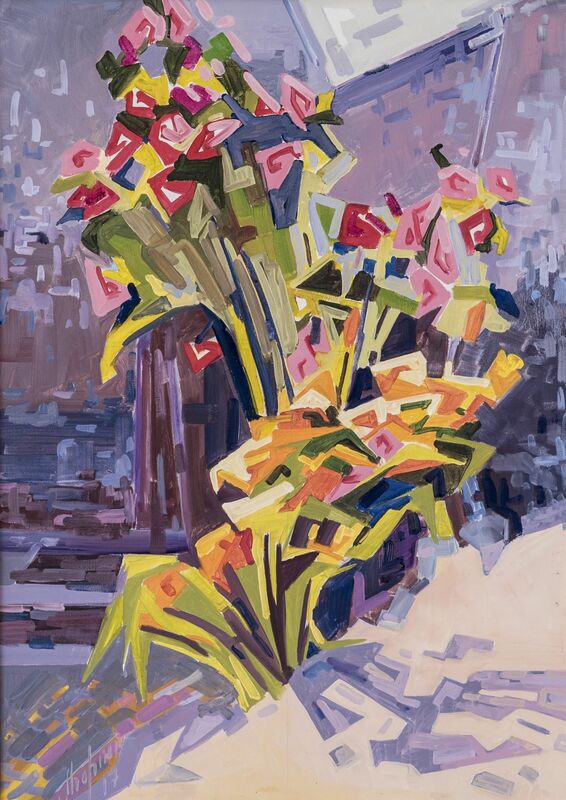 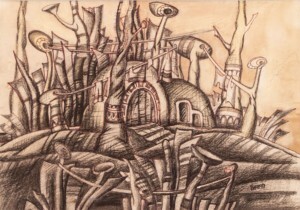 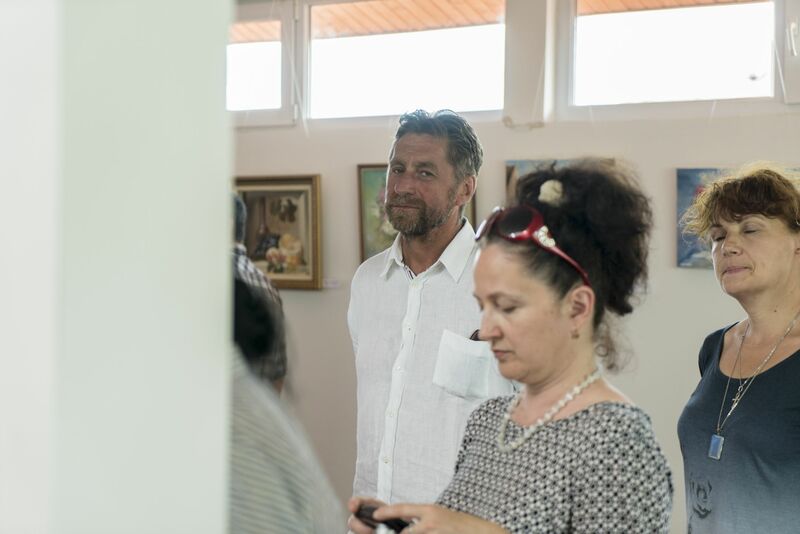 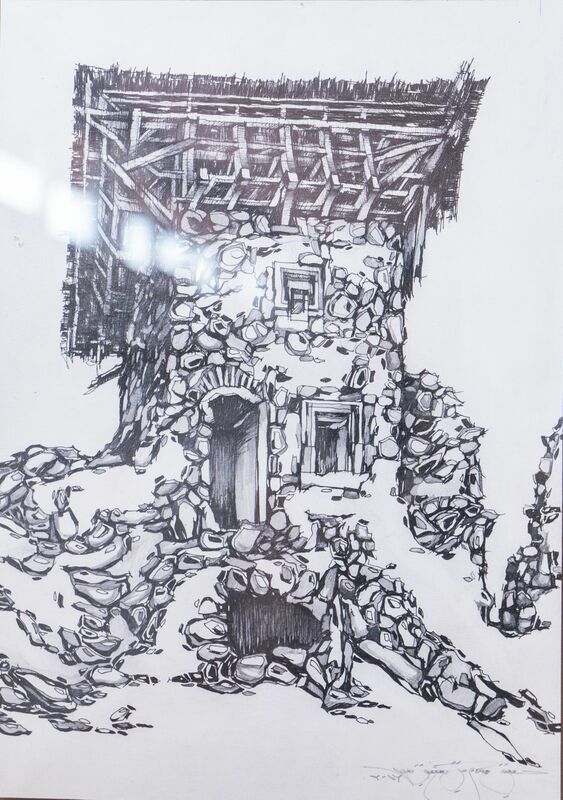 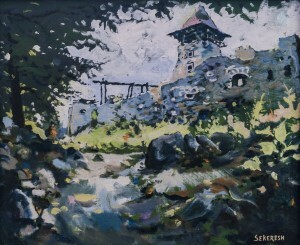 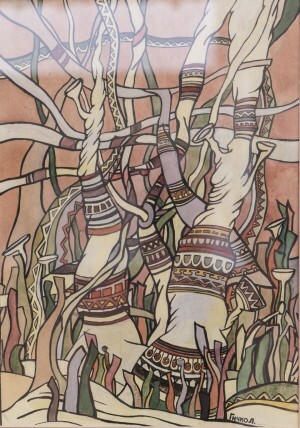 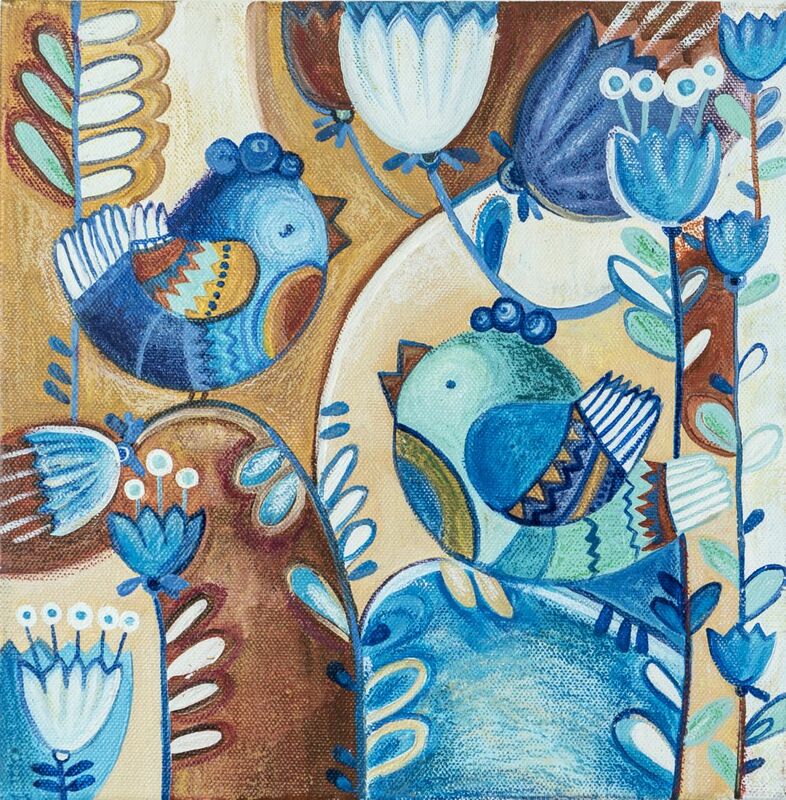 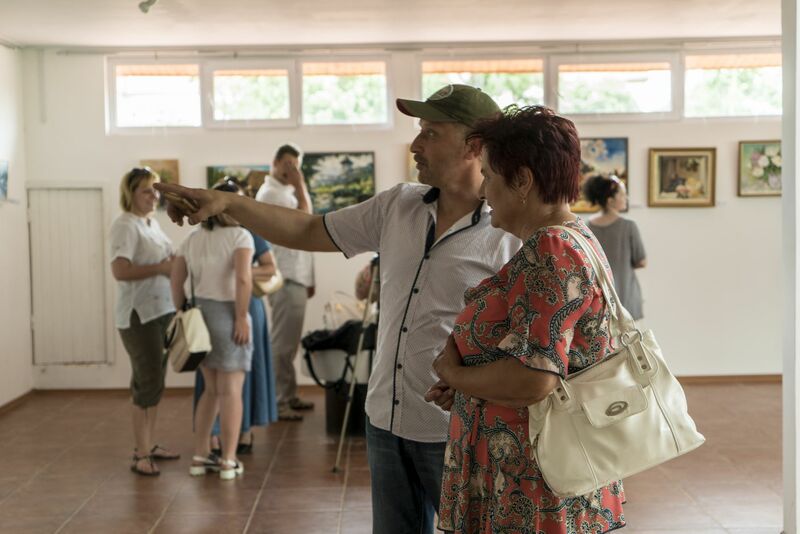 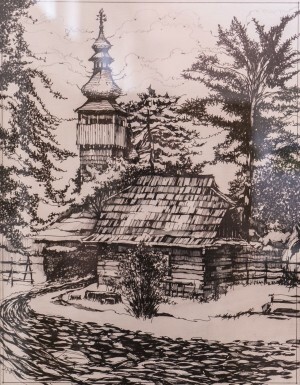 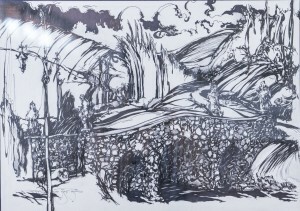 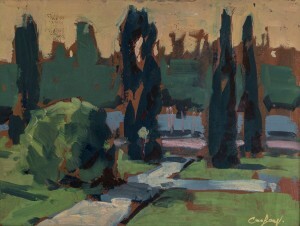 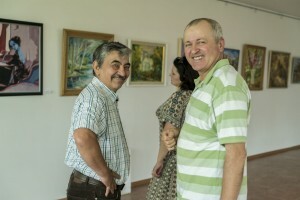 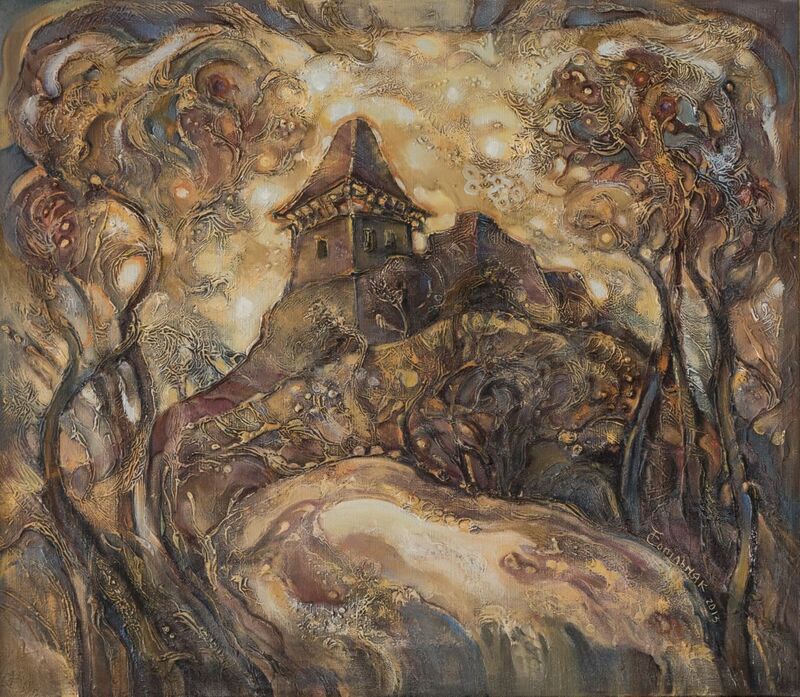 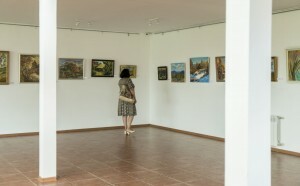 Their works at the exhibition presented Emma Levadska, Tetiana Sopilniak, Oleksandr Sydoruk, Andreia Pavuk, Viktor Andrianov, Viktor Hrabar, Anton Sekeresh, Yurii Vyihesh, Mahdalyna Berezanych, Ivan Stehura, Marta Tsuha, Nataliia Rybar, Iryna Popdiakunyk, Liubov Shpak, Olha Hal, Arkadii Mukhomedianov, Yurii Mushak, Liudmyla Borshosh, Nadiia Matiko, Luidmyla Hychko-Korol. 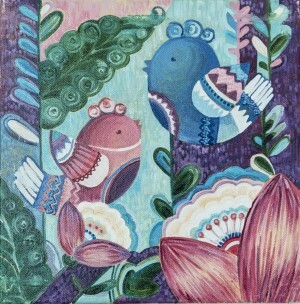 M. Tsuha. An Old Village, 2017. 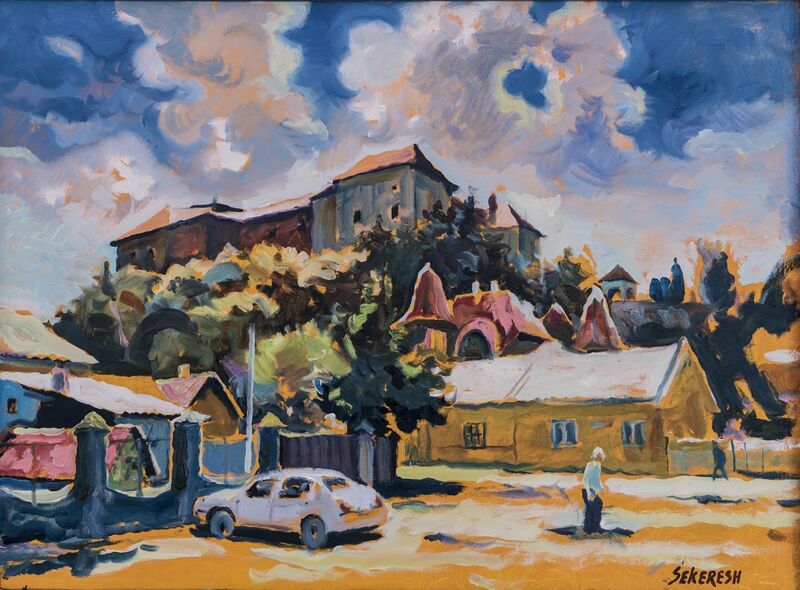 I. Stehura. 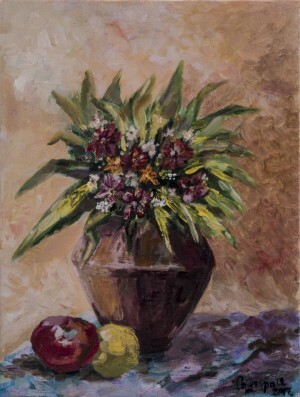 Summer Still life, 2017. A. Mukhomedianov. Still life "Gladioluses" 2016. A. Mukhomedianov. 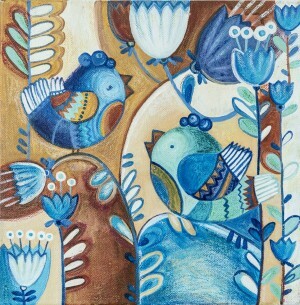 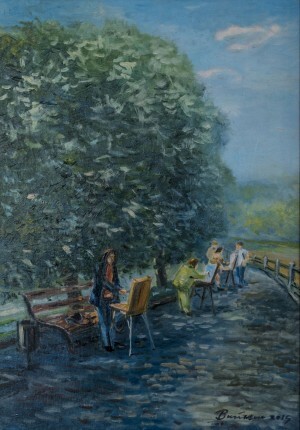 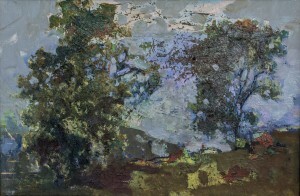 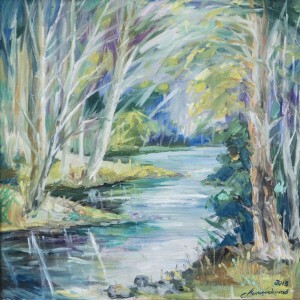 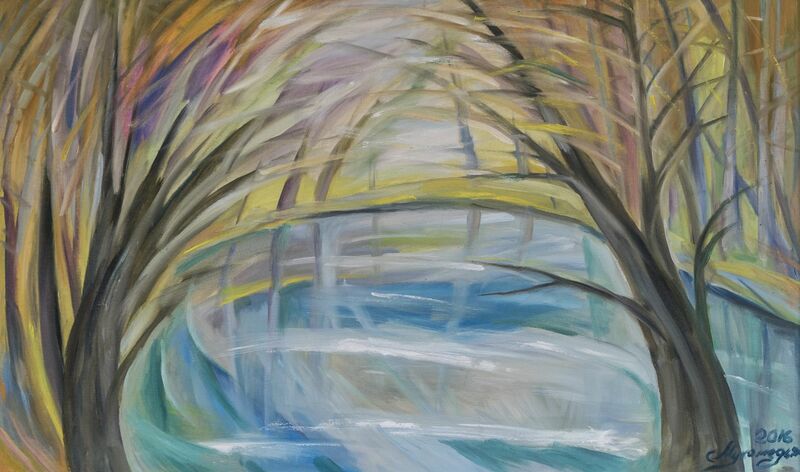 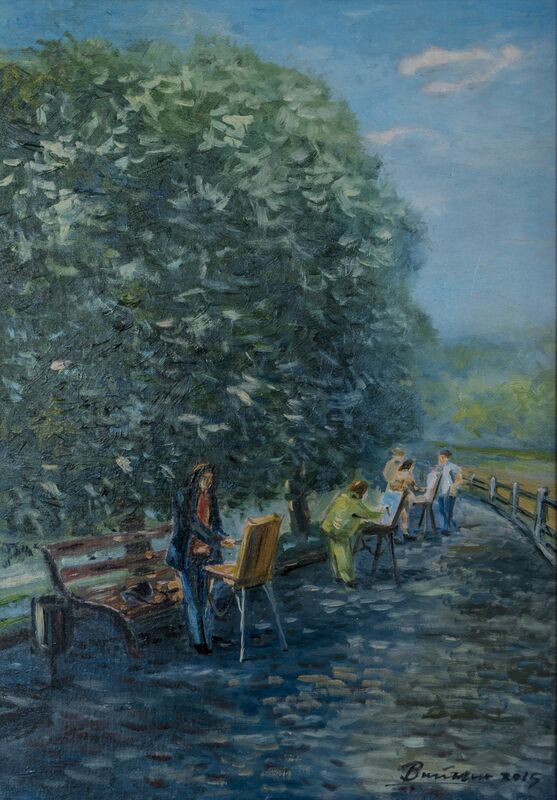 By the river, 2013.